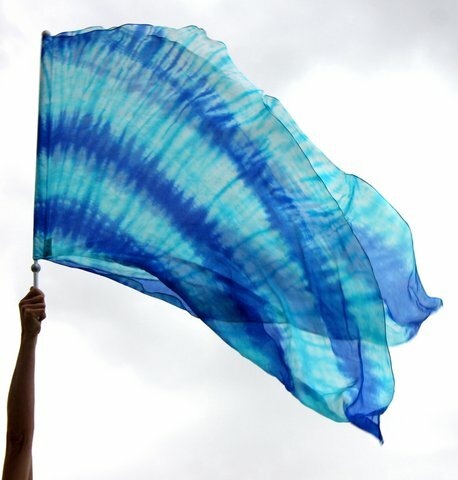 100% Silk Double Layer Butterfly Wing Worship Flag - Tye Dye Blue Beautiful tye dye in an array of blues, these 100% silks are cut into a butterfly wing shape. The sticks are hand painted and reinforced at the handles for easy cleaning. They are double layer and lightweight. 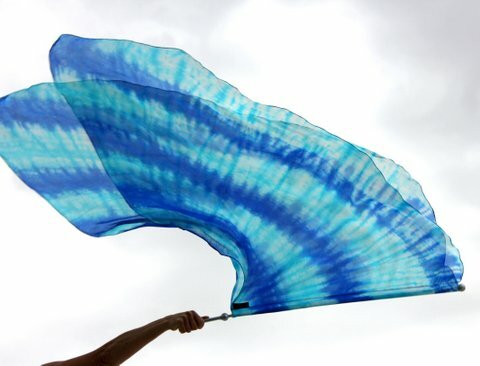 The sticks measure at 36" and each flag is unique, varying slightly in size, color and shape.